The first week I brought my baby home from the hospital, the doctor said I needed limit going up and down stairs to once a day. This meant I would go down the stairs in the morning to our main floor and stay on that floor for the rest of the day. My body was sore and still recovering. 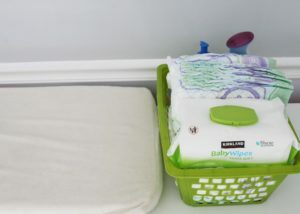 I was so grateful that I had made an easy two-minute DIY diaper caddy with simple organization hacks for each level of my house. 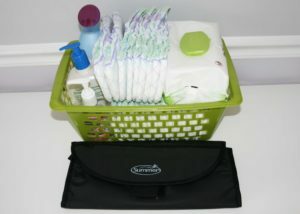 Having quick access to the diaper caddy made changing a million diapers a day that much easier. First, you’ll want to gather the essentials for the easy two-minute DIY diaper caddy. Of course, you’ll need diapers, wipes, and diaper cream in the caddy. From experience, I have learned organization hacks like keeping hand sanitizer, air freshener, and lotion in the bin too. 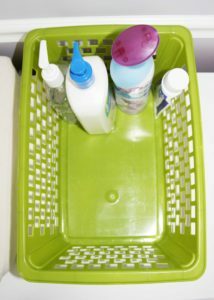 These essential items are easy to keep organized and will keep parents from having to run around looking for these items. 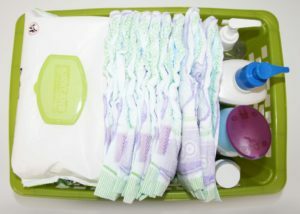 These diaper caddies are so easy to make, I still keep a few around the house to make it convenient to get to diaper essentials no matter where I am. 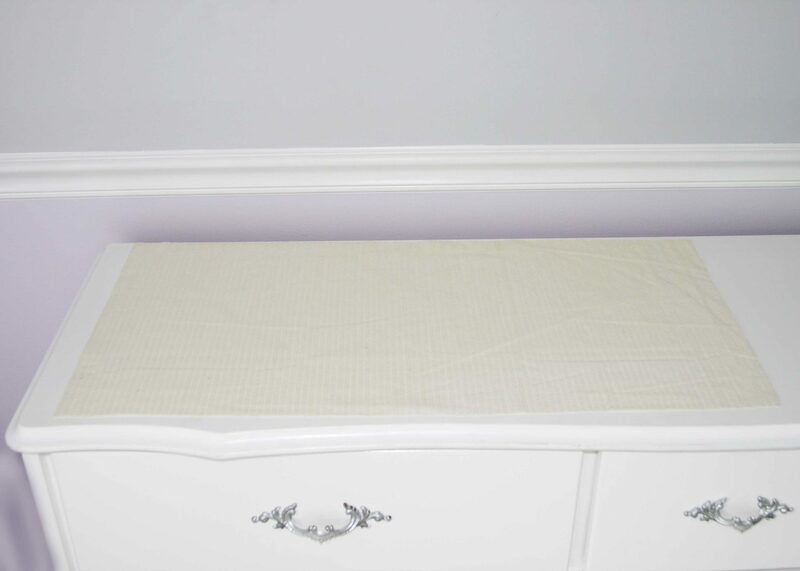 Along with the diaper caddy, I also used a changing pad in my baby’s bedroom and a storable changing pad for the other locations. 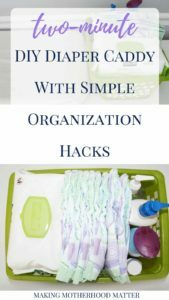 These organization hacks made is easy to tuck the DIY diaper caddy and storable changing mat under a side table or in a drawer. With newborns going through up to 10 diapers a day, the easier it is to change a diaper the better. Or in my case, with two kids in diapers, I feel like I am constantly changing a diaper. 1. To start, take the bin and place the lotion, hand sanitizer, and air freshener, and diaper cream on the far end. 2. 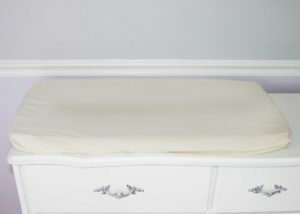 Next, fill the remaining space with diapers on their sides to maximize space. I like to do two layers of diapers so that I need to refill the bin less often. More diapers = saving me time. 3. 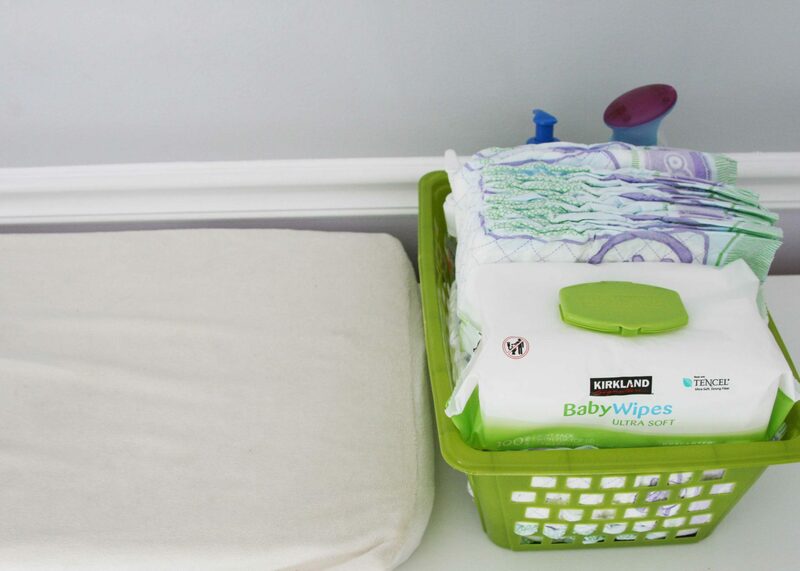 Finally, leave a space large enough to fit a pack of diaper wipes on top of the first row of diapers. If you need a changing mat to stay in place on a dresser or changing pad. Just use the non slip grip pad (the material you put under rugs), underneath the changing pad. Cut out a piece just small than the changing pad for some instant and easy traction. 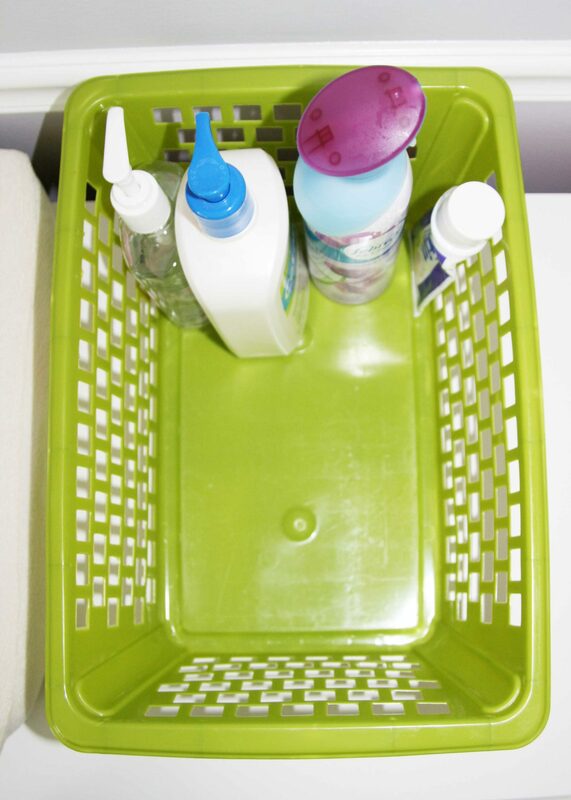 Place the lotion, hand sanitizer, and air freshener, and diaper cream in the bin. 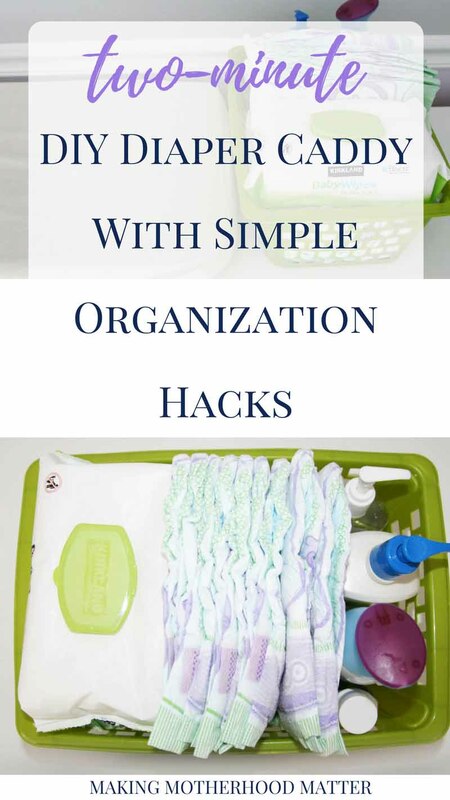 What organization hacks do you use to keep your life with kids simple? P.S. If you enjoyed this piece, you may also like Baby’s First Week Home: What You Really Need to Buy with the must-have essentials for mama and baby during the first week home. Read to find out why over 600 parents have pinned this piece on Pinterest.